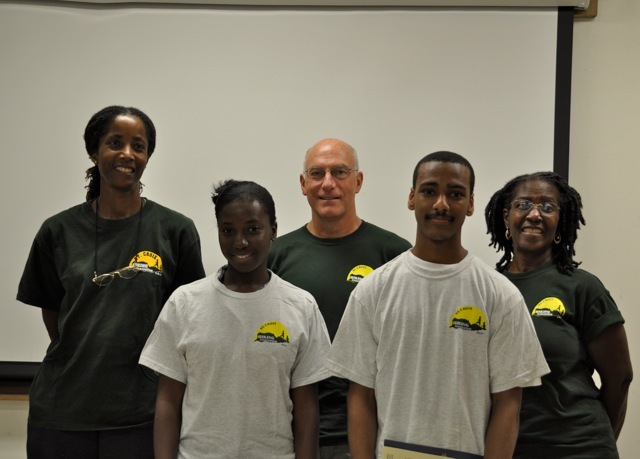 Each year, the St. Croix Hiking Association awards two $1000 scholarships of $500 per semester to two St. Croix graduating high school seniors entering their freshman year at UVI as a Natural Science major. To apply for a scholarship: See the application in MS Word doc format or the application in PDF format. To get a copy of either document, right-click the link and "Save Target As...". The deadline to submit the application is now June 15, 2011 (not May 23, 2011 as indicated in the application). In 2010, Lynisha Farrell and Anthonio Forbes were our scholarship winners. See 2010 press release (PDF). 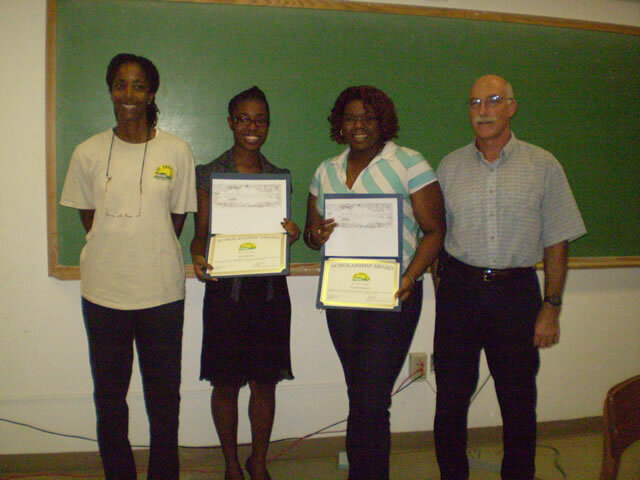 In 2009, Kara Spencer and Tenesha Wallace were our scholarship winners. See 2009 press release (PDF). Pictured below from left to right are Catherine Prince (SCHA President), Kara Spencer and Tenesha Wallace (scholarship winners), and Fred Flint (SCHA Scholarship Committee Co-Chair).